NORTH CAROLINA—The 2014 Doris Betts Fiction Prize is now open for submissions. 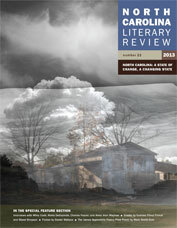 The Doris Betts Fiction Prize awards the first-place winner $250 and publication in the North Carolina Literary Review. Finalists will also be considered for publication in the NCLR. For over twenty years, East Carolina University and the North Carolina Literary & Historical Association have published the North Carolina Literary Review, a journal devoted to showcasing the Tar Heel State’s literary excellence. Described by one critic as “everything you ever wanted out of a literary publication but never dared to demand,” the NCLR has won numerous awards and citations. The Doris Betts Fiction Prize is open to any writer who is a legal resident of North Carolina or a member of the North Carolina Writers’ Network. North Carolina Literary Review subscribers with North Carolina connections (lives or has lived in NC) are also eligible. The final judge is NCLR fiction editor Liza Wieland (left). She the author of seven books and three collections of short fiction. She has won two Pushcart Prizes, the Michigan Literary Fiction Prize, a Bridport Prize in the UK, and fellowships from The National Endowment for the Arts, The North Carolina Arts Council, and the Christopher Isherwood Foundation. She has recently been awarded a second fellowship from the North Carolina Arts Council. Doris Betts was the author of three short story collections and six novels. She won three Sir Walter Raleigh awards, the Southern Book Award, the North Carolina Award for Literature, the John Dos Passos Prize, and the American Academy of Arts and Letters Medal for the short story, among others. Beloved by her students, she was named the University of North Carolina Alumni Distinguished Professor of English in 1980.